This time of year, so much is coming up and I am so busy planting, gathering, cooking, and preserving that often I don’t get any of it written about. But I did want to throw in a quick note about garlic chives. I have had a couple of clumps of them going for two years, but I have tended to forget to use them. I have, however, read that they are often eaten blanched in Asian countries, and I wanted to try that. I don’t often go in for blanching because, in general, I do want my produce kissed by the sun and full of all the nutrients possible. 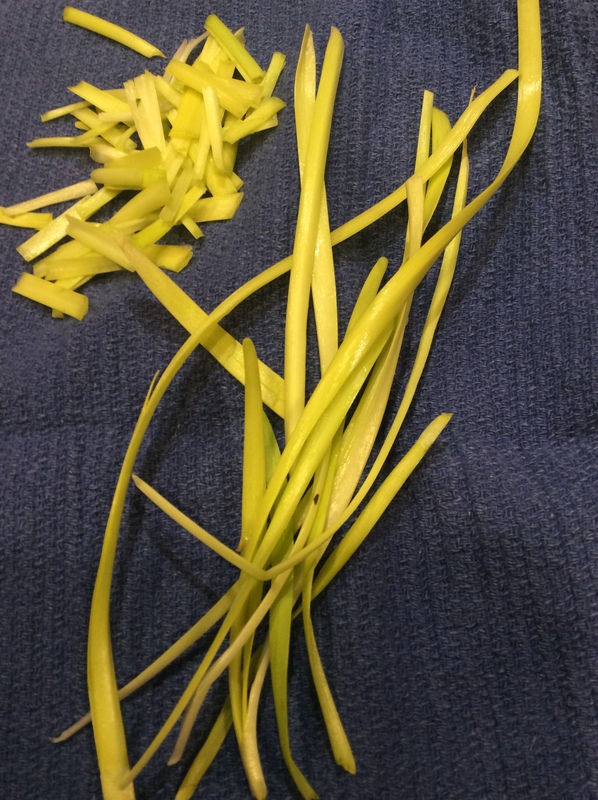 However, when I saw my two clumps of garlic chives coming up, I decided to try blanching one of them. There are some elegant ways to accomplish this, but I did it very inelegantly. I hauled my big stockpot out to the garden, turned it upside down over one of the clumps, and set a rock on top. This worked perfectly. About six days later I remembered to look underneath, and there were long chartreuse strands. I tasted one, and it had a mild and sweet garlic flavor, perfect for eating raw. I picked them all, and have left the clump to see if it will rejuvenate. 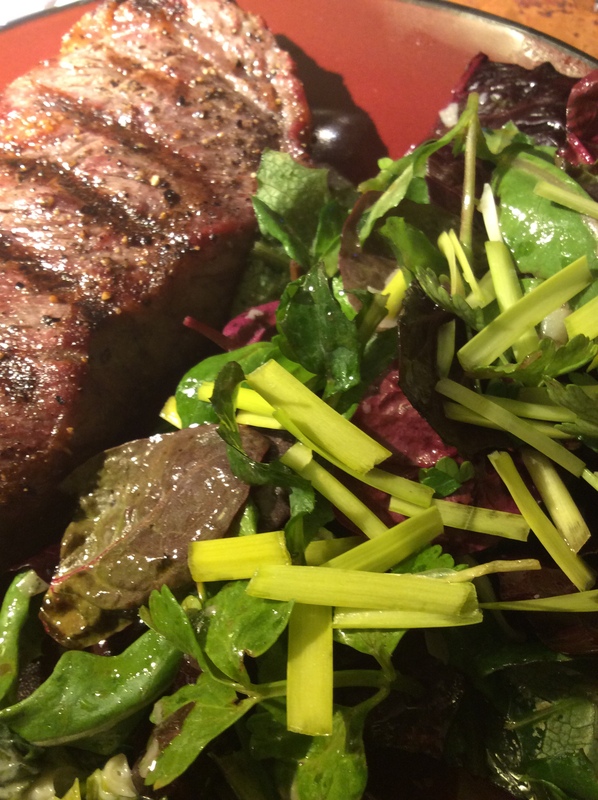 I used the glistening blanched chives over a salad, cut in 1” sections. They were delicious. Try blanching.